Need some advice with your Dryathlon? 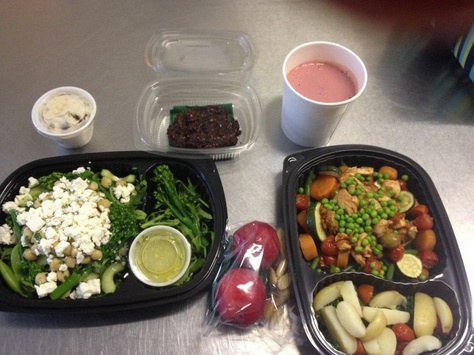 One of our clients is marking Lent, by following a no carb diet. It’s his way of reducing calories, to help lose weight. He’s ditching his usual lunchtime sandwich – and replacing it with a healthy salad. See our tips on how to make salads tasty and satisfying. Our Nutritional Coaching guidelines help you learn how to diet. Follow good dietary behaviour to reduce your weekly calories and maximise your training results. Good lifestyle behaviours cluster to form healthy habits. We recommend our clients consider a day that they exercise, as a day of overall good behaviour. I call this quest for the ultimate super foods, the ‘Steel Cut Syndrome’ – a term I’ve adopted following a chat with a young man looking to lose weight. Read our advice on a healthy eating diet: how to create a diet that suits your personality.